HP CF226A, HP 26A - HP M402 M402N M402DN M426 M426DN is a HP black CF226A cartridge for use in your laser printer. This HP M402N Toner delivers excellent print value. 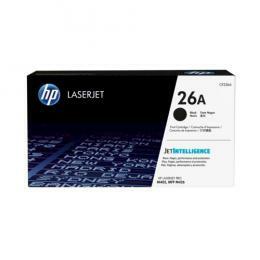 This HP M402N Toner, M402DN Toner is a HP black toner cartridge. Compatible with Toner Cartridges: CF226A, CF226X, 26A, 26X. Page Yield: 3,100 @ 5% coverage.